Facts, Don’t You Just Hate Them? Isn’t it just so interesting how the biggest complainers of this country moving toward Socialism are people like Sarah Palin and the Tea Party? 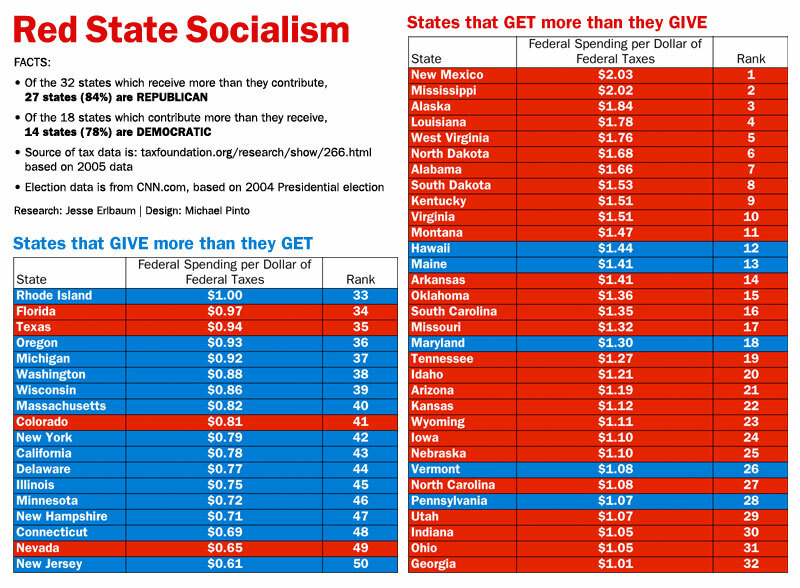 Click on the Image above and see which states get more government money than they give. And just look who is in the top three and the third most socialist state in this country. 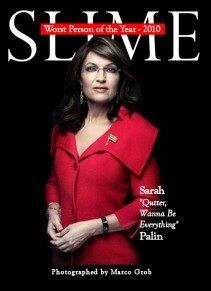 Yes folk’s it’s Sarah Palin’s Alaska! 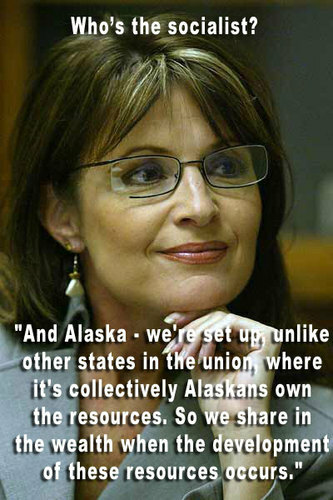 But that’s not all folks… Here is Ms. Palin’s own words about her Socialist little State and how the Wealth is redistributed to every man, woman, and child in Alaska. Yes the Source Numbers are from 2007 for the periods of 1981 – 2005 from the Tax Foundation and once new numbers are available this blog will be updated with the latest data and it is not expected to change much. Louisiana will probably moved to the top given the aid due to Katrina and the Gulf Oil Spill. The funniest thing here, the ones crying the loudest about Federal Spending and Socialism are the very ones crying the loudest to seek the aid from the Federal Government. Bobby Jindal and Louisiana is pure proof of this fact. Remember… and VOTE November 2nd! I Remember how the Republican Party in just 8 short years nearly destroyed this country. The Radical Right Wing Brigade want you to believe that President Obama is a Socialist. The real sad thing here is the weak minded people who believe this are the very ones President Obama is fighting for, the Common Man. If all these “Conservatives” believe the Republicans and the Tea Party represent them, they are sadly mistaken. 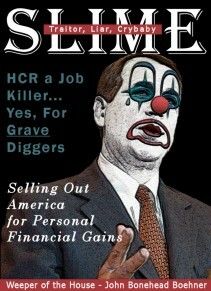 Just WHO do you think has been funding all these radical, ignorant fools in the Tea Party? The Common man? NO, Big Business so that they can get these spineless idiots into congress to push their agendas, and if YOU Don’t Vote… Big Business Wins! Wake up America! 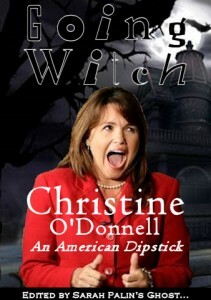 VOTE in November to send these Radical Whack Jobs like Beck, Palin, Angle, Paul, and O’Donnell a clear message. She keeps going and going with no end in sight! 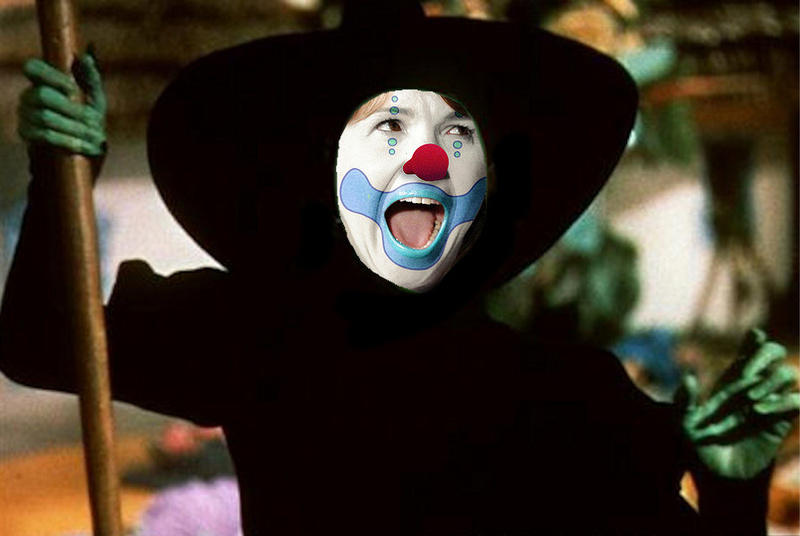 Dopey Witch’s Greatest Hits thus far!